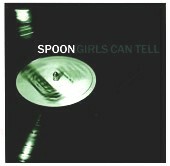 Spoon's swan song is their latest, Girls Can Tell, a collection of sophisticated pop songs that deliver equal parts rock and melody. From Spoon front man Brit Daniels' shaky, unbroken voice to the fearless rhythm section, Spoon manages to create tingling pop sensations while driving everything home with plenty of quirky rock. "Believing Is Art" builds throughout, blending fierceness with swift kicking hooks, while "Anything You Want" shines with a catchy repetitive organ part looming around Daniels' trademark voice and the band's half rock/half pop playing. Meanwhile songs like "Take A Walk", "1020 AM", and "Chicago At Night" all show a different side of the band, from the rocking to the soft and pretty.